Wolcott – Mrs. Rose (DeCarlo) Rubano, 96, passed away at Wolcott View Manor, Thursday, September 13, 2018. She was the wife of the late Philip Rubano. 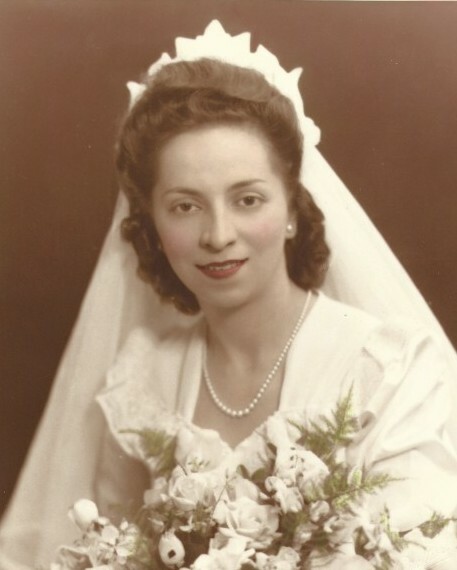 Rose was born in Naugatuck, CT on Oct. 13, 1921, daughter of the late Pasquale and Margaret (Nardello) DeCarlo. Rose worked in manufacturing for over forty years. She enjoyed cooking for her family and working in her garden. She also loved to visit the casinos, playing bingo at the American Legion 165 twice a week and the Wolcott Senior Center. She was a New England Patriots fan and loved to watch ice skating. Rose is survived by her son, Anthony Rubano, with whom she made her home; a daughter, Linda McWeeney; a sister, Theresa Perugini; three grandchildren, Shawn McWeeney, and his wife, Dyan; Frank Brevetti; and his wife, Adrienne; and Krista McWeeney; five great-grandchildren, Hunter, Olivia, Frankie, Michael, and Anthony; and several nieces and nephews. She was predeceased by her husband and seven brothers and one sister.